... BUT THE # 1 REASON IS VALUE. 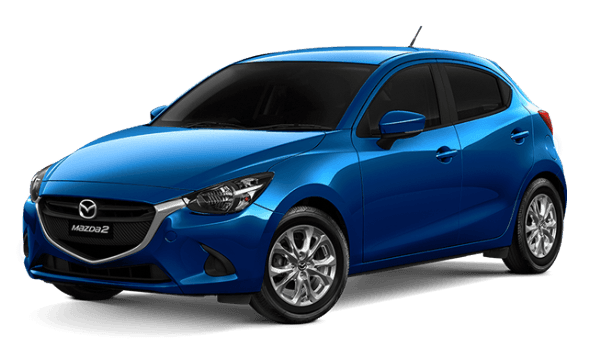 Mazda2 brings chic style, energetic performance, smart safety and connectivity to the small car. 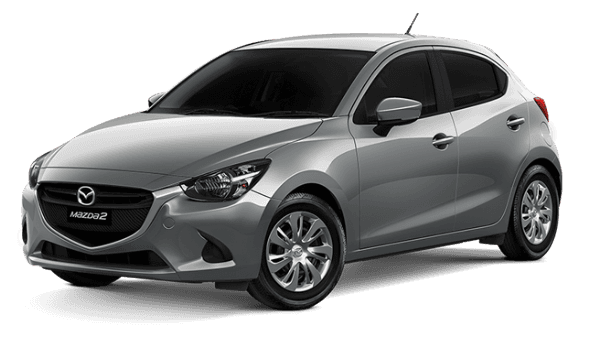 If you're looking for a little more presence on the street, Mazda2 Maxx really fits the bill. Loaded with safety, style and extra features the Mazda3 Neo Sport sedan and hatch has never been this attractive. * Recommended Promotional Driveaway Price for Runout Mazda3 Neo Sport manual sedan or hatch model 300M only. Private Buyers only. 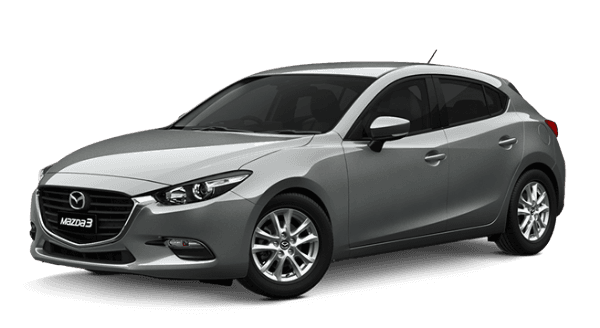 With connectivity and added safety the Mazda3 Maxx Sport delivers with extra value. 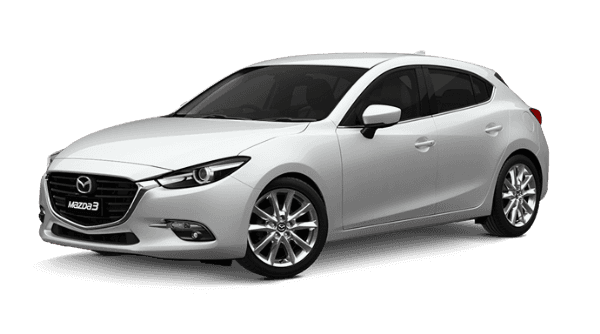 * Recommended Promotional Driveaway Price for Runout Mazda3 Maxx Sport manual sedan or hatch model 300M only. Private Buyers only. 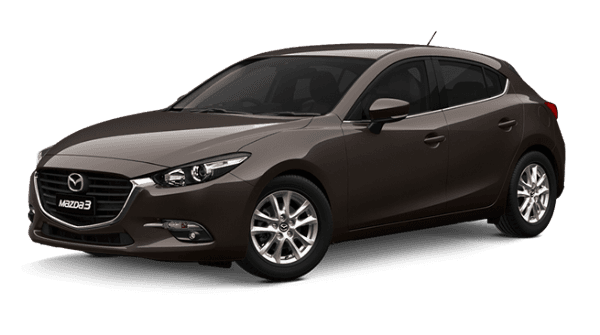 When it's extra power and refinement you want then the Mazda3 SP25 GT takes your driving enjoyment to a whole new level. 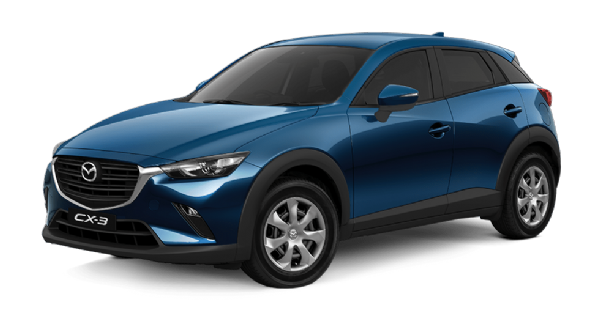 Designed with a sense of timeless beauty, the Mazda CX-3 Neo Sport delivers an impressive mix of power and fuel efficiency to take your driving experience to a new level. 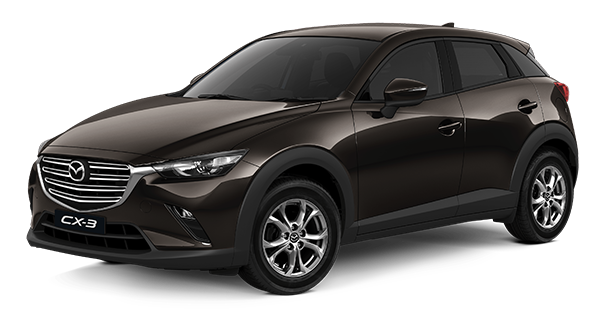 Captivating performance and classic elegance make the Mazda CX-3 Maxx Sport a modern classic. Combining state-of-the-art technology with the signature KODO design philosophy, this small and impressive SUV is ready for anything. New Mazda CX-5 has elevated the SUV to a whole new level of refinement and craftsmanship. * Recommended Promotional Driveaway Price for New Mazda CX-5 Maxx Petrol FWD manual model CX-5H only. ^ Bonus not available with other offers. Private Buyers only. New Mazda CX-5 Maxx Sport continues to excite with enhanced style and features. It is a cut above. * Recommended Promotional Driveaway Price for New Mazda CX-5 Maxx Sport Petrol FWD Auto model CX-5H only. ^ Bonus not available with other offers. Private Buyers only. 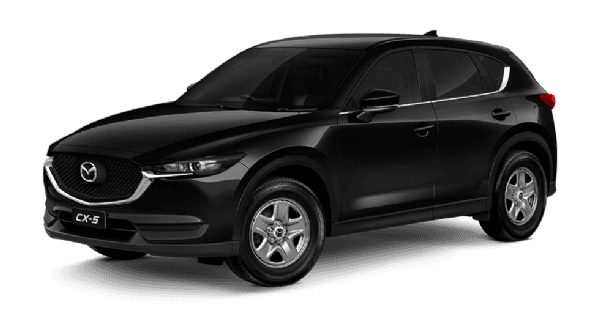 Loaded with safety, style and extra features the New Mazda CX-5 Touring has never been this attractive. New Mazda CX-5 GT offers everything from advanced entertainment to cutting edge connectivity - giving you everything you need to enjoy the drive. When it's extra safety and refinement you want then the New Mazda CX-5 Akera takes your driving enjoyment to a whole new level. 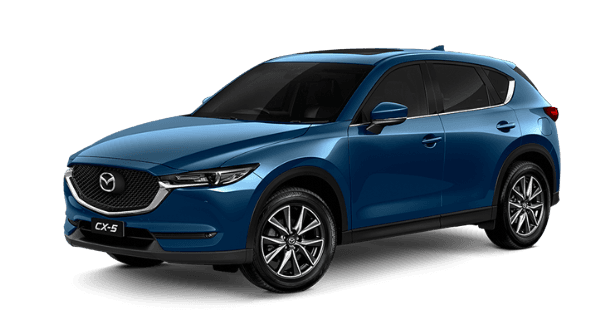 When it's extra safety and refinement you want then the New Mazda CX-5 Akera takes your driving enjoyment to a whole new level. The SKYACTIV-G 2.5L engine offers the convenience of petrol with the power of turbo. * Recommended Promotional Driveaway Price for New Mazda CX-5 Akera Petrol Turbo AWD Auto model CX-5H only. ^ Bonus not available with other offers. Private Buyers only. The New Mazda CX-9 is where luxury meets family. The 7-seat CX-9 Sport offers superb styling inside and out while effortlessly meeting the practical needs of everyday family life. 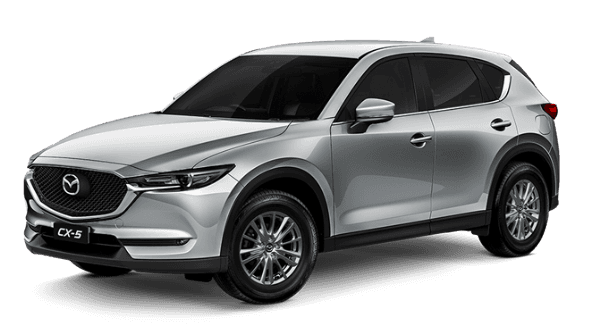 * Recommended Promotional Driveaway Price for 2018 New Mazda CX-9 Sport FWD model CX9J. Private Buyers only. New Mazda CX-9 is where design meets technology. The 7-seat Mazda CX-9 GT is stunning and sophisticated, built with the whole family in mind, offering everything from advanced entertainment to cutting edge connectivity. 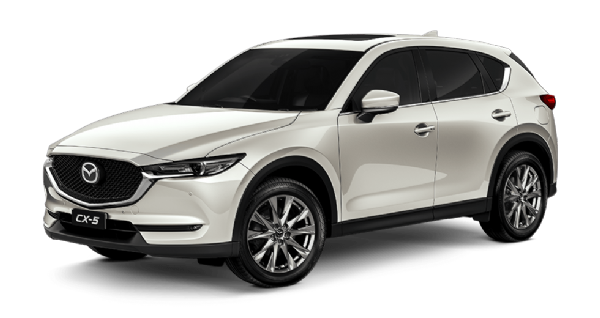 * Recommended Promotional Driveaway Price for 2018 New Mazda CX-9 GT FWD model CX9J. Private Buyers only. New-Look BT-50 4x2 combines toughness and comfort along with advanced safety features. 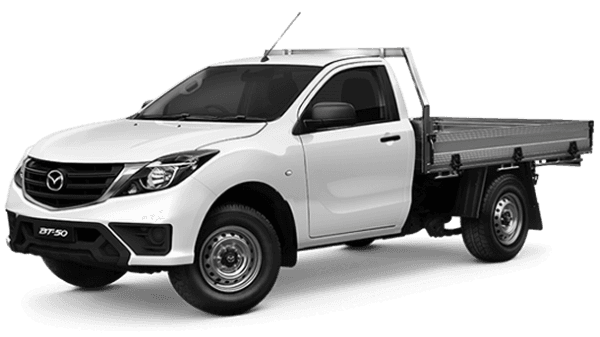 * Recommended Promotional Driveaway Price for 2018 Mazda BT-50 4x2 Single Cab Chassis XT manual with Genuine Mazda Standard Alloy Tray. ^ Bonus not available with other offers. Private Buyers only. Whether it's navigating new terrain or carrying serious cargo New-Look BT-50 has the power and style to handle it all without breaking a sweat. 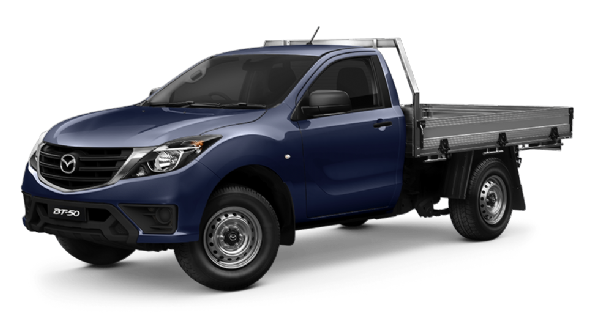 With a flexible interior and pillarless rear door, New-Look BT-50 Freestyle Cab means more space to carry extra passengers and gear. New-Look BT-50 4x4 Freestyle Cab has the power and cabin space for almost every job. 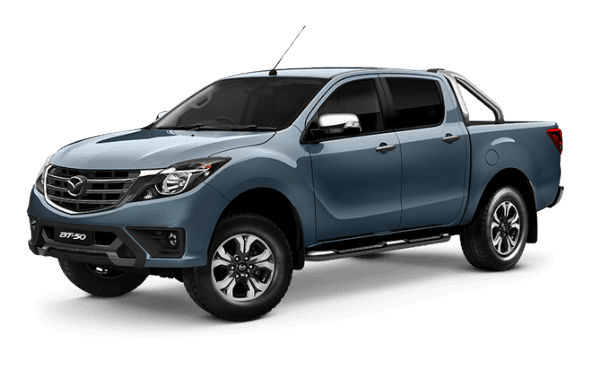 New-Look Mazda BT-50 delivers added grunt and refined comfort with every drive. 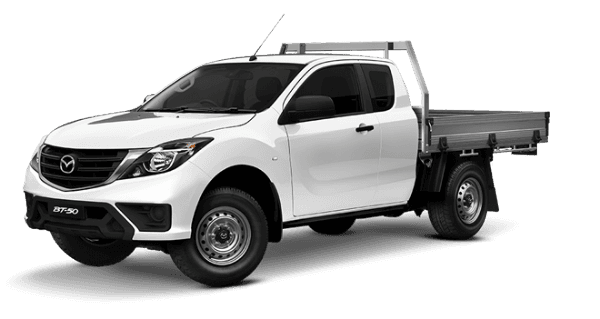 As a workhorse or a weekend warrior, the Dual Cab BT-50 is built to tackle any task, and do it all in style. 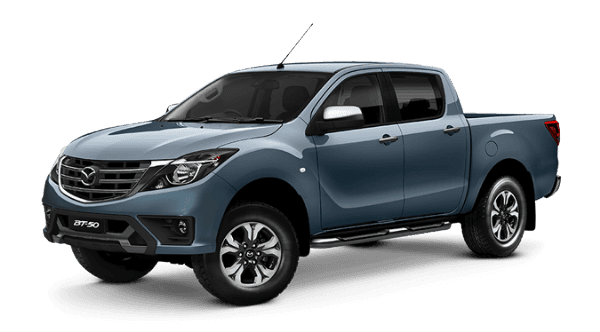 With all the power you need New-Look Mazda BT-50 is as much a workhorse as a weekend warrior, the Dual Cab BT-50 is built to tackle any task, and do it all in style with a new bumper and satin black grille. New-Look Mazda BT-50 Dual Cab Utility XTR is loaded with style, features and added tech to make every drive more comfortable. New-Look Mazda BT-50 Dual Cab Utility XTR is loaded with features. Fill it with gear, pull a load or take it off road it's always up to the challenge. 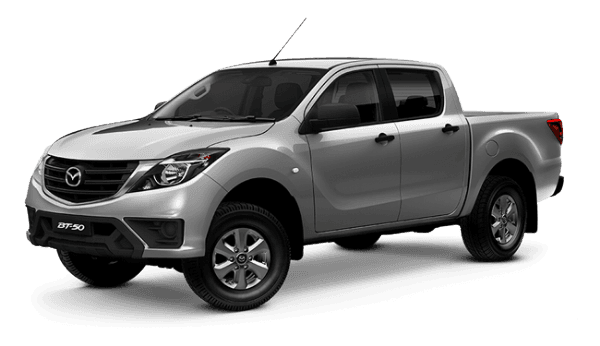 * Recommended promotional Driveaway price for Mazda BT-50 4x4 Dual Cab Utility XTR manual. Private Buyers only. 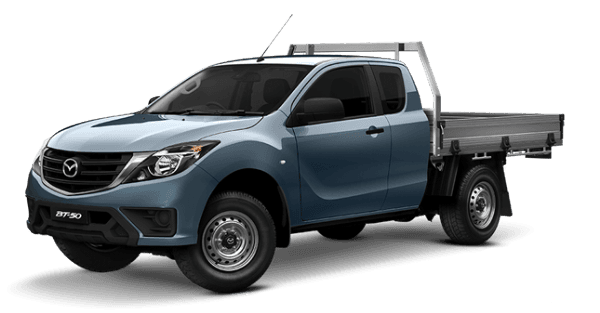 New-Look Mazda BT-50 Dual Cab Utility GT makes it hard to believe you're in a ute. Useful driver tech like Reverse Camera and Satellite Navigation provides convenience, while luxurious finishings complete the package.